We will learn more about the way Pillar of Defence was conducted when, over the coming weeks, it becomes possible to start reading the rubble. Some of what we know about the 2008-9 assault comes from an archive – the Book of Destruction – compiled by the Hamas-run Ministry of Public Works and Housing. The archive contains thousands of entries, each documenting a single building that was completely or partly destroyed, recording everything from cracked walls in houses that still stand, to complete ruins. The ministry will no doubt put together a new archive following the latest attack. Its list will be a close parallel to the one contained in a document owned by the Israeli military. This is the Book of Targets in Gaza, a thick blue folder that the outgoing chief of staff, Gabi Ashkenazi, who presided over Operation Cast Lead, passed to his successor in a televised ceremony at the beginning of 2011: ‘I want to hand over something I carry with me all the time,’ he announced. Now that the bombing is over, evidence will be accumulated (and allegations made and contested), not only by speaking to survivors and witnesses but by using geospatial data, satellite imagery of destroyed buildings and data gathered in on-site investigations. 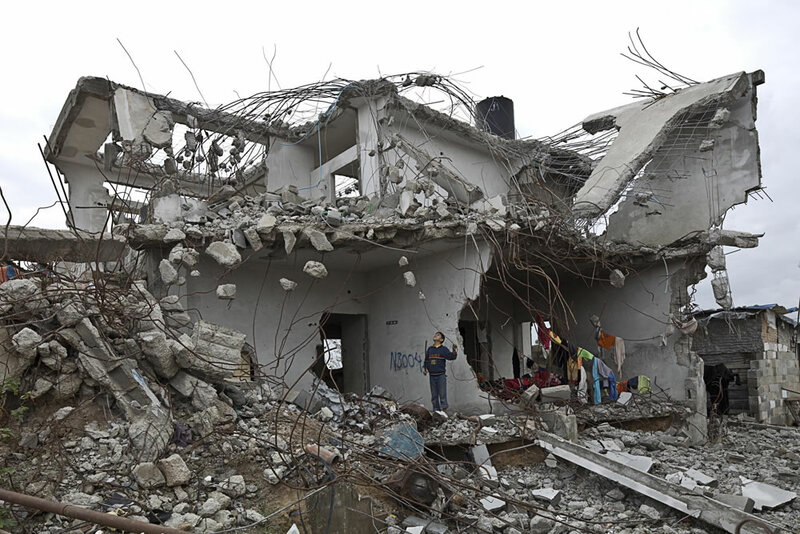 But investigation is difficult: in Gaza ruins are piled on ruins, and it isn’t easy to tell them apart. 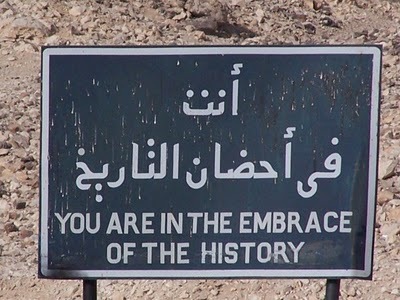 The wars of 1947-49, the military incursions of the 1950s, the 1956 war, the 1967 war, the 1972 counterinsurgency in the refugee camps, the first intifada of 1987-91, the waves of destruction during the second intifada of the 2000s, and now the two attacks of 2008-9 and 2012, have each piled new layers of rubble on top of those produced by their predecessors. 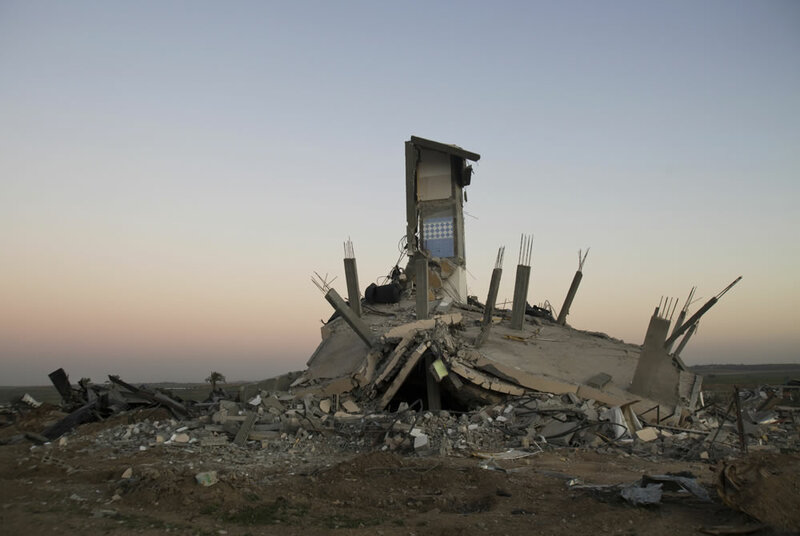 The Book of Destruction is also a haunting publication by the excellent photojournalist Kai Wiedenhöfer, published after the last war on Gaza in 2008-09. Get it. Both photos in this post are from Wiedenhöfer’s book. 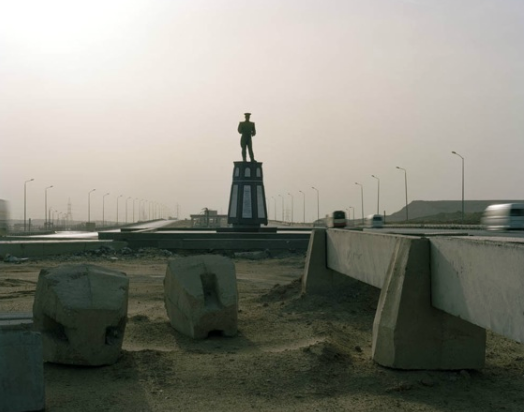 Stark photos by Julian Chatelin on Guernica that capture the Egyptian military’s role in the transformation of the country’s physical (and political) landscape. 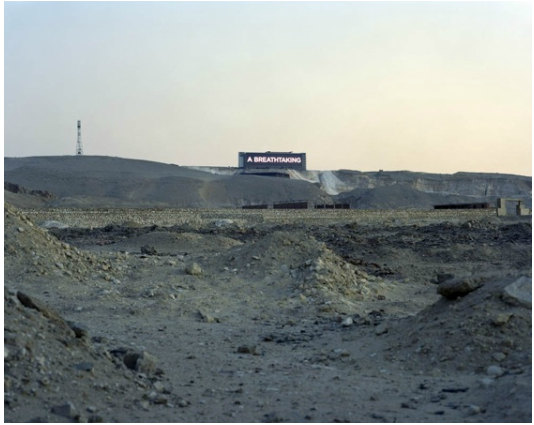 Abandoned tracts of desert are either unused military installations or, more often on the fringes of Cairo, state-military land sold to speculators close to the regime, to build an unsustainable and largely unrealized suburban dream in the desert. Via Arabist. This late 19th century photo, from a CD of some 1,500 historic, black and white images I bought from a downtown Cairo photo shop last summer, might be Lehnert & Landrock. I took this photo last month, near the same spot on Sharia al-Muizz. All of the buildings refurbished by the government’s Historic Cairo Restoration Project around Sharia al-Mu’izz have a marble plaque to commemorate their reopening after restoration. This is expressed, of course, in gaudy script that honors the patronage and support of the president, Hosni Mubarak, his wife Suzanne, the culture minister, Farouk Hosny, and Abdel Azeem Wazeer, governor of Cairo. 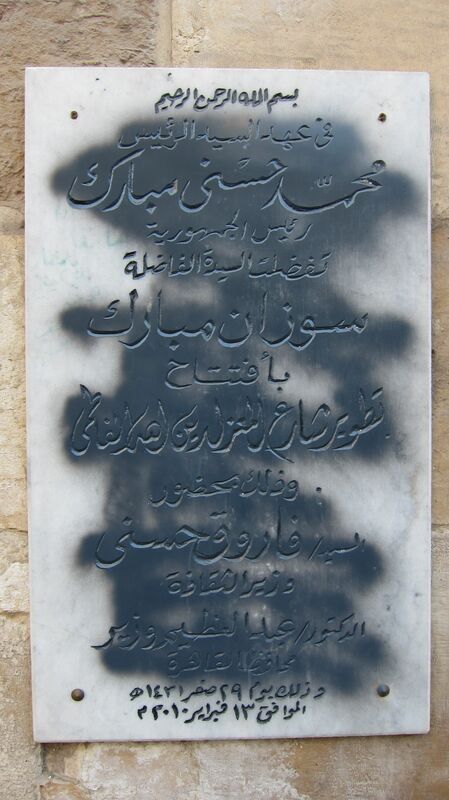 This plaque, commemorating the reopening in February 2010 of the complex of Sultan Barquq on Sharia al-Mui’zz, has been defaced since the January 25 revolution. The government’s Historic Cairo project was solely economic development through heritage tourism, which is their only strategy and motivation for architectural restoration and preservation. 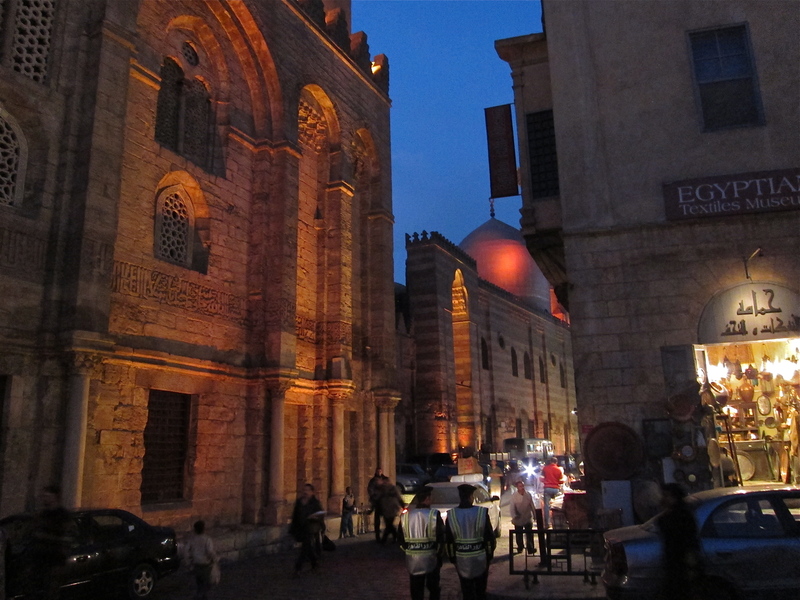 The area aimed to turn the historic spine of medieval Cairo into a controlled pedestrian zone; cars would only be allowed in the evenings, with traffic heavily controlled or restricted during the day. The new promenade, lined with antique and shisha shops, glows in the evening thanks to professional lighting from Italy. 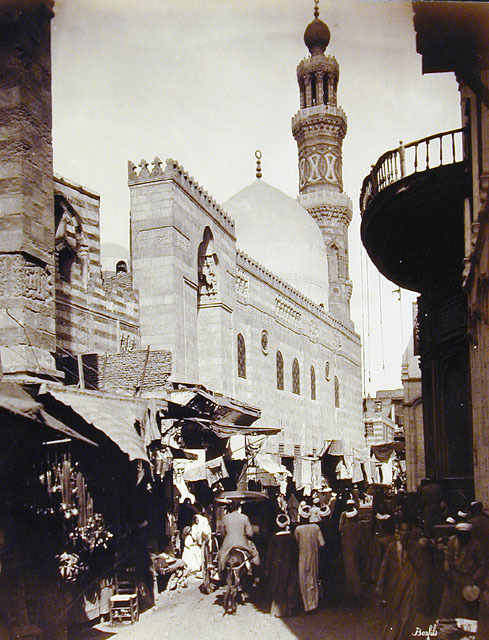 A travel writer for the New York Times basked in “A Cairo Street Free from Traffic and Haggling.” Not surprisingly, the refurbishment of al-Mu’izz was and continues to be criticized as a beautification of the facades on al-Muizz only, or a Disney-fication of the historic heart of Fatimid Cairo. The alleys extending off the main street in either direction in Gamaliyya are home to scrap metal shops that the previous regime wanted to expel. Residents applaud the infrastructure improvements, like the new sewage system and street paving. 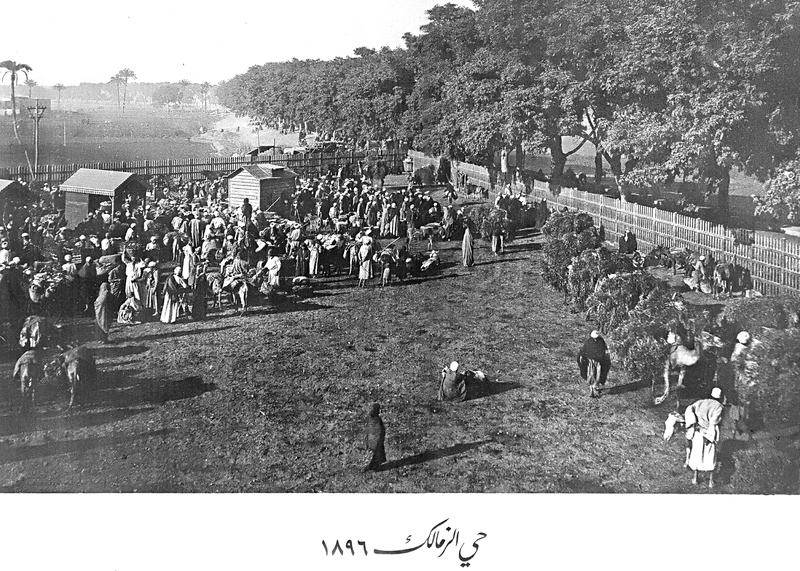 But the HCRP’s creation of a plaza outside al-Hakim required removing the busy lemon, onion and garlic markets — banished to al-Obour off the highway to Ismailiya on the fringes of Cairo, according to people I talked to there. Tourists want open space with row upon row of shisha shops, according to the government’s plan; they don’t want the shaabi activities of vegetable markets for the people who actually live there. 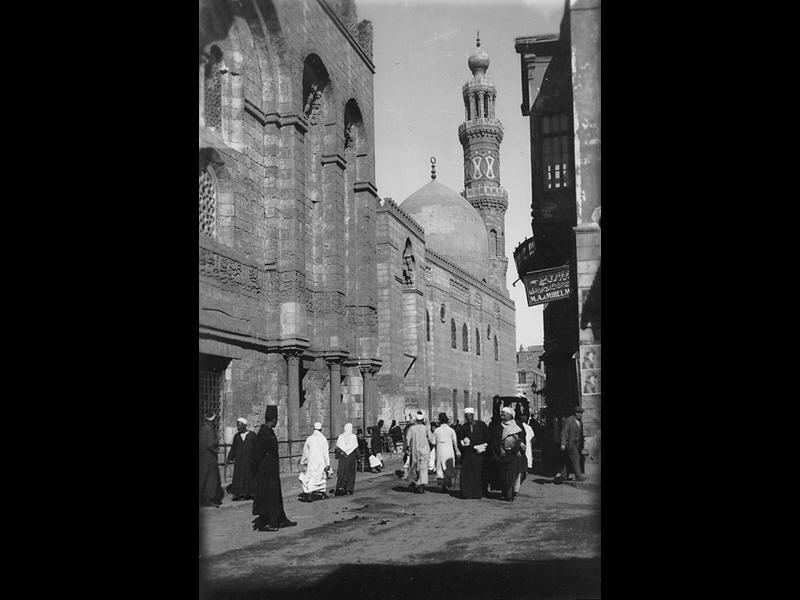 The HCRP was not urban renewal but heritage tourism in the busy, medieval center of Cairo. The Ministry of Culture’s dream of turning al-Muizz and the rest of Fatimid Cairo into an “open-air museum,” however, is on hold, and hopefully has been dashed. Since January, al-Muizz is full of cars and motorcycles and micro-trucks again — since the revolution, there has been no enforcement of al-Mui’zz as a pedestrian zone. Police are few. The realities of the city, and its place as a bustling commercial area, have overtaken the government’s plan in the absence of enforcement. Bonfils photo of Barquq from Archnet. How does the architecture and its management and restoration impact the relationships with residents in the area and the state? The Ministry of Culture, and the Supreme Council of Antiquities, approach historic buildings as lifeless and without context, designating them as monuments with little connection or vitality for the people living next door. They have to be treated exclusively as visitors’ sites, a place for a tourist to see. The complexes of Qalawun and Barquq, of course, are sites of major religious, historical and architectural importance in Cairo — and yet their restoration has removed them from street-level activities and made them only a backdrop for tourists, with professional lighting at night. Qalawun is no longer a congregational mosque. Both it and Barquq are only open until the early afternoon, though people on al-Muizz say this is for security reasons in the absence of police and the threat of looters. “This two-year long survey will result in integrated socio-economic revitalisation plan linking the urban and the socio-cultural fabric of the city’s core,” Abdel-Moneim confidently predicted, adding that its provisions would be enshrined in legislation to preserve monuments and protect the area from further encroachment. Moneim was sent to prison, convicted of taking money from the contractors doing the restoration work, in addition to other charges of bribery. There is nothing to suggest in the HCRP a social development or integrated revitalization project. One architect I spoke to cynically said that the impetus and goal of the project was to add a day to the tourists’ itinerary of Cairo — after the Pyramids, and the Museum, the government hoped, visitors could wander al-Muizz and the sanitized alleys of Fatimid Cairo beyond Khan al-Khalili. If people are isolated from their own architectural heritage, which is seen to be used and protected only to serve regime corruption and neoliberal economic policies, what is left? 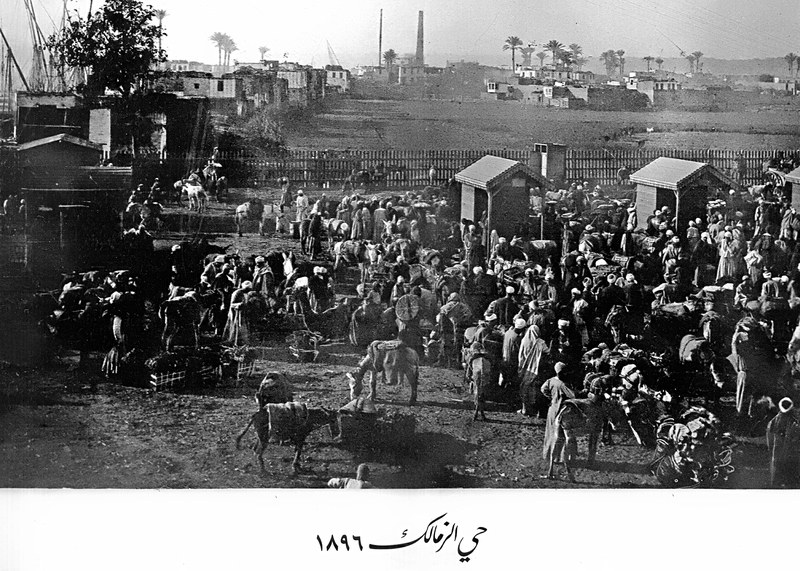 What is the local, lived impact of restorations carried out for narrow economic interests under urban authoritarianism? 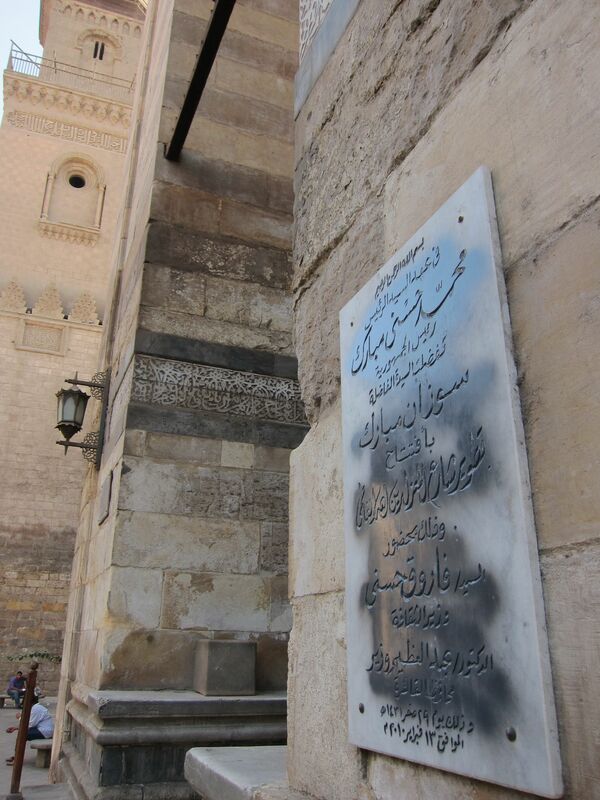 For one, it starts with defacing the marble plaque that commemorates the restoration project of the Barquq complex. The plaque does not acknowledge the building’s history or architecture, but instead the patronage of the regime that insisted on owning culture and urban heritage. I’ve been looking at this picture — an old postcard of Tahrir I got in Cairo in 2009 and now have on my book shelf in England — since January 25th. 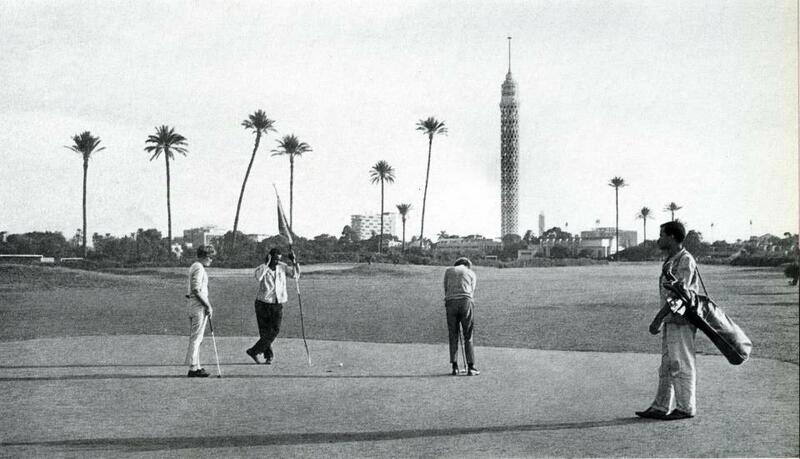 … Cairo has always been a city of great works of architecture and intelligent city planning. It is also a city marked by many failures at the hands of hasty architects and unimaginative politicians. 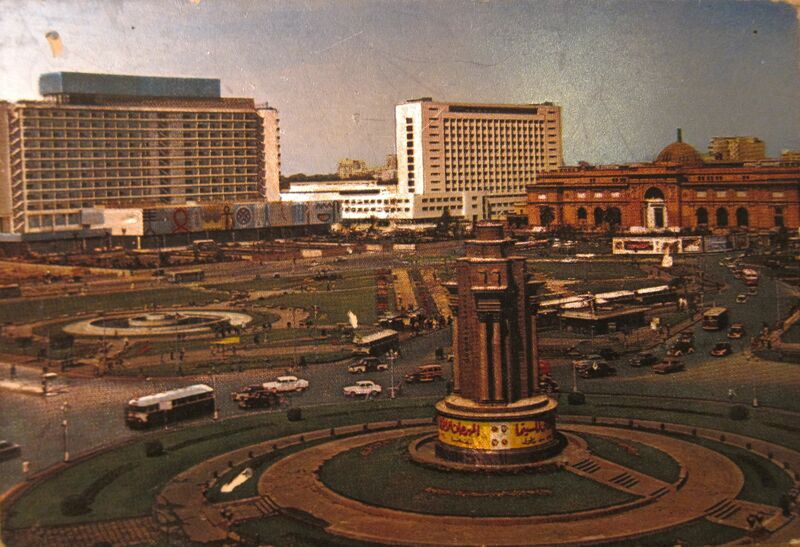 Yet no one politician or architect has been able to lay claim over the design and symbolism of Tahrir Square, which remains as a collection of fragments from many failed or unfinished plans and urban fantasies. The importance of this square does not lie in the fact that it constitutes the center of the city, or that it is surrounded by strategically important buildings like the Hilton Hotel, the Egyptian Museum, the Mugama (which comprises 1,400 offices occupied by thirty thousand employees who deal with sixty thousand people per day), and the American University. Nor is it important because at its center stands an empty statue base erected twenty-five years ago, after the death of Abd al-Nasser, for which the Egyptians have yet to choose a personality to occupy it; nor because, according to a popular joke initially targeting one of the Arab kings, it is the space used by the prime minister to distribute the national budget: he stands at the center of the square and hurls the national budget into the air, taking what lands on the ground for himself and giving what remains in the air to the people.